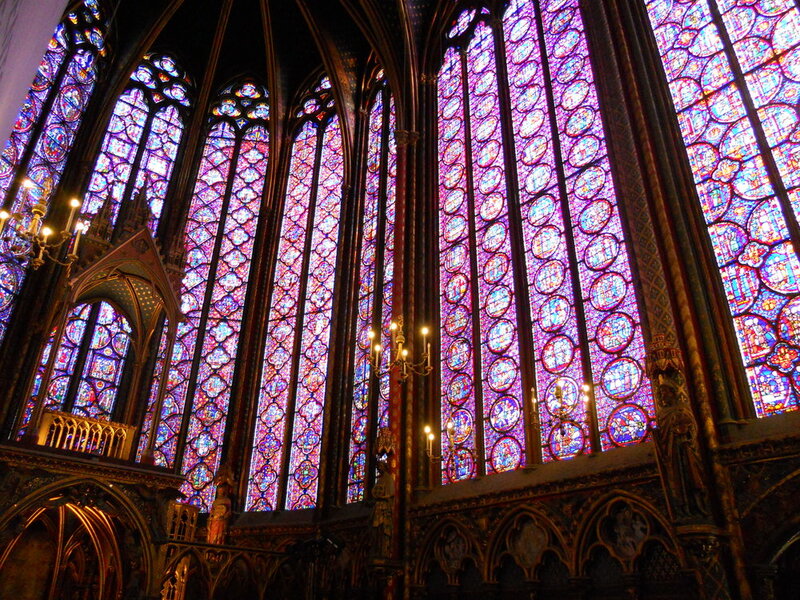 On Friday night, our second night in Paris, we started the evening by attending a concert of classical music at the historic Sainte-Chapelle. Now while we appreciate classical music, we do not pretend to be super-knowledgeable about it. We had visited here during a previous vacation, but when we discovered they host a full schedule of concerts, we could not pass up the chance to return and listen to music beneath the most gorgeous stained glass. Complicated, unfamiliar pieces only a music major can appreciate? Not at all. The program was pretty much a "Hooked on Classics" playlist. If the titles aren't familiar, the music will be. Just Google them: Mozart's A Little Night Music, Pachelbel's Canon in D - you get the idea. A perfect evening in a intimate setting - and the wallet-friendly ticket prices hit just the right note as well. If you're planning a visit, you can check out their full schedule of concerts. * Photo original to Shop with Style.